7:30 a.m. is not too early in the morning unless a person has spent half the night thinking exciting and planning thoughts. Then it is much too early. Ugh. JJ texted me when he got back to the motel after dropping his Dad off at work. I replied, but my mind was foggy and my eyes are blurry and I couldn’t really see the letters on the phone. Who knows what I sent him. A gift of introverts is that we think very deeply. A curse is that we can’t always shut it off, especially when there are exciting things happening. JJ was very excited and nervous about his job interview. I told him to just do his best, be polite and act confident, and he would do fine. When serious encouragement didn’t decrease his nervousness, I used humor. 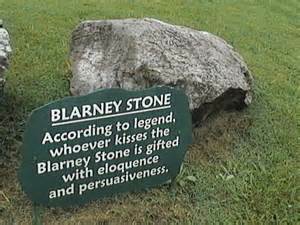 I told him to remember that he is the descendant of mighty Norse berserker warriors (on his Dad’s side) and of Irish storytellers who had kissed the Blarney Stone and were skilled with words (on my side). He replied, “So you are telling me that I can overpower the interviewer with BS?” Well…uh…exactly? JJ had made sure he had interview clothes with him just in case he got an interview. 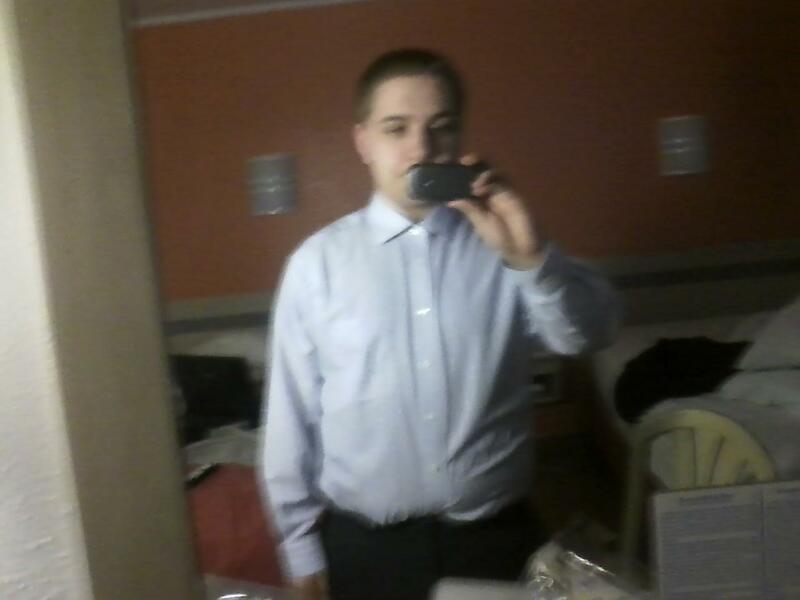 When he had gotten dressed for his interview, he sent me a selfie. I thought he looked great and told him so. So off he went for the interview. A while later he called me in great excitement to tell me that he got the job! He starts Monday! Woot! JJ had worried that having to quit working and drop out of college because of cancer would affect his ability to get a job. However, he said the interviewer was very nice, and that she had a son named “JJ” and that her father had had cancer. So they were able to connect. While JJ was preparing for his interview, I got a message from our loan officer that she was still waiting for us to sign forms. Apparently she had emailed them on April 21 but I had never received them. She suggested that they might have gotten caught in the spam filter–which is where I found them. Oops. So I quickly printed out and signed my forms and then went to our local bank and faxed them. EJ went to his northern bank as soon as he got out of work to sign his copies. The survey and inspection of our new house was scheduled for this morning. EJ had to work and couldn’t be there, but the realtor was there. When EJ first went to look at the property, they noted where they guessed the property boundaries were. After the survey today, the realtor told us that “where EJ and I thought the lines were, we were WAY OFF! There’s actually a lot more room than we thought there was!” That’s cool. Proud of JJ! and more room! That’s awesome.